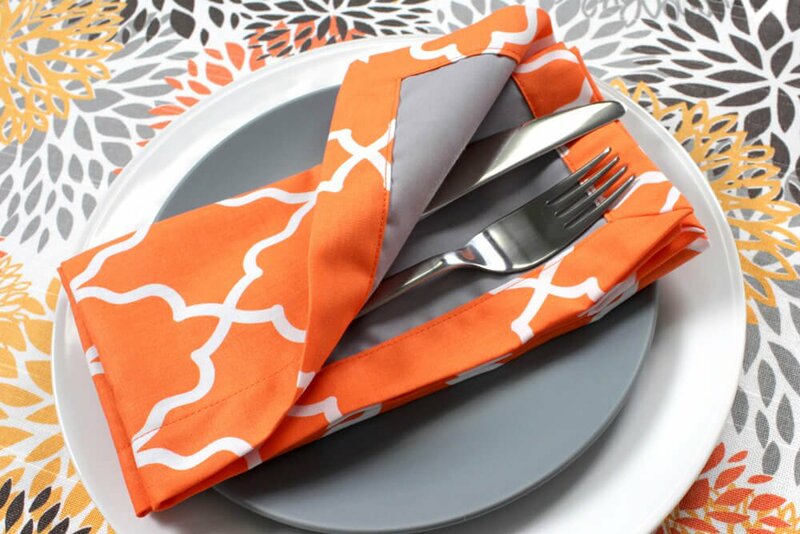 Fabric napkins, tablecloths, and placemats add style to your table. A wide variety of fabrics can be used to make placemats and napkins. Fabric napkins are environmentally friendly, too, since they can be washed and used for years. Elegant napkins and tablecloths are often made with fine linen. More casual napkins and placemats can be made with broadcloth, and other cotton or polyester materials. If you want a printed fabric, quilting cottons are a good weight. The napkin below is made with a quilting cotton and has a broadcloth back. See How to Sew Cloth Napkins to learn how to make these napkins with mitered corners. You want to make sure you can wash whatever fabric you choose. The manufacturers of fabrics like linen, canvas, and drapery fabrics will recommend dry cleaning, but it’s sometimes fine to machine wash them. See Can I Wash Decor Fabric? for more information. The fabric will probably shrink, so always pre-wash whatever fabric you use. Fabric for napkins should be flexible enough to roll or fold, while fabric for placemats can be stiff. Cotton duck (canvas) and some drapery fabric is suitable for placemats. Wipeable placemats can be made with oilcloth or vinyl, which do not have to be hemmed because the fabric doesn’t fray. Simply cut it to the size desired. Use decorative scissors to give the placemats a scalloped or zigzag edge. 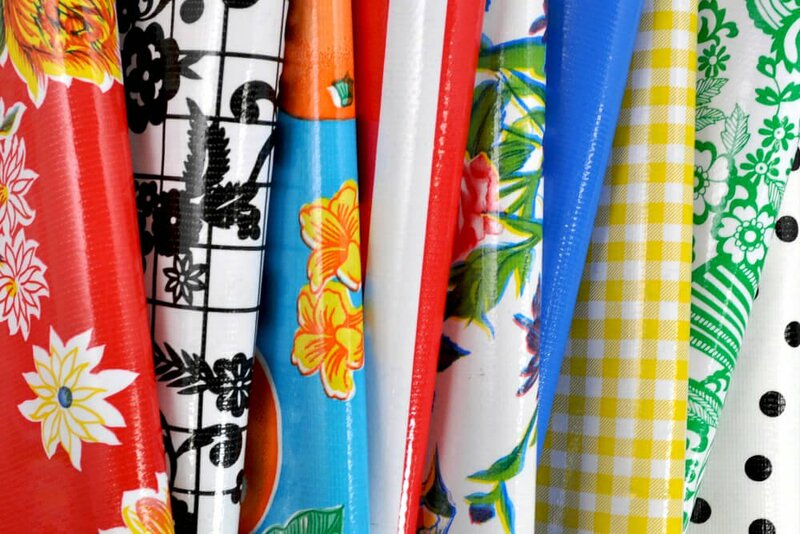 Oilcloth and vinyl are easily wiped clean with a soapy cloth. (They shouldn’t be machine washed.) Oilcloth fabric comes in wonderful array of designs. 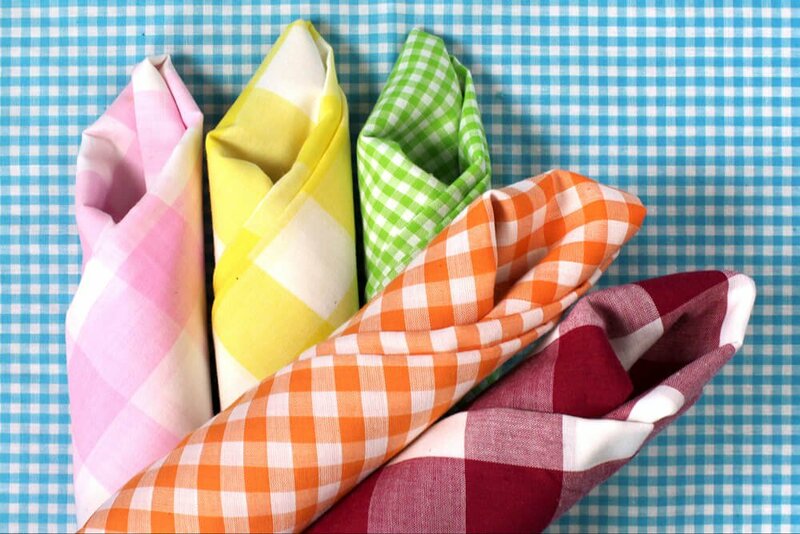 Gingham is a traditional fabric for tablecloths, and it is also a good weight for napkins. Gingham’s nostalgic look brings cozy style to the table. Decorate the breakfast nook with gingham curtains to match the tablecloth or napkins. If you have a breakfast area with a window seat, a gingham cushion and pillows can add charm. Gingham now comes in many colors besides the traditional red and white. Checks can also be large or small. Another option that’s especially good for outdoor placemats is Phifertex fabric. These fabrics have a beautiful textural weave that can withstand the elements. Phifertex placemats are very easy to make because the stiff fabric doesn’t fray and no sewing is involved. 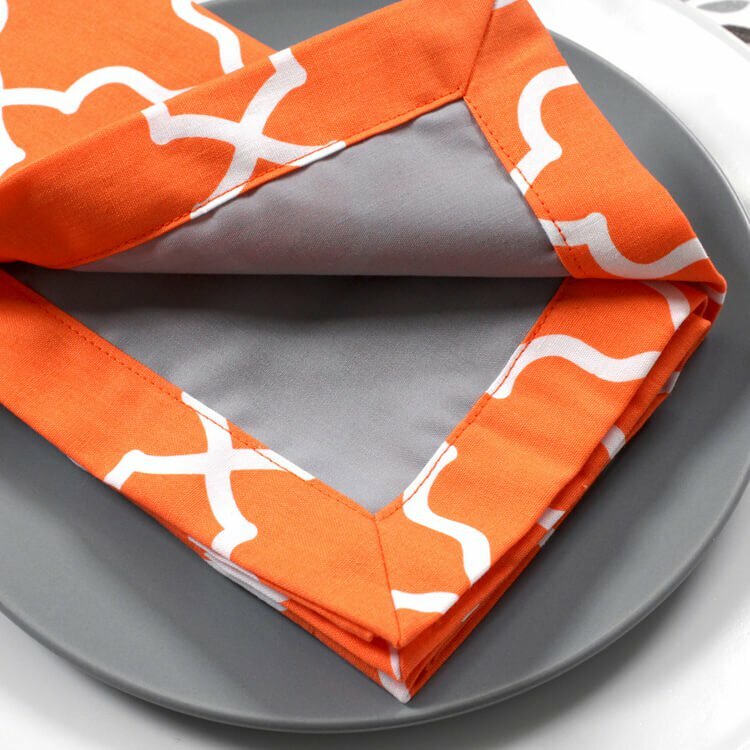 Find out how to make fabric napkins with mitered corners here. What is the best fabric for napkins that won’t need ironing? Are placemats ever made from flannel fabric? BEST ANSWER: It's not typical but you could! We'd suggest using a stabilizer to make them stiffer. What is the most absorbent fabric for dinner napkins? BEST ANSWER: Cotton or linen fabrics are most absorbent.